The album does not provide a composer/game breakdown. Several members of the games' sound teams give comments in the booklet and their works are listed, but the games may also have composers who weren't interviewed. Yousuke Okunari only says that You Takada wrote music in the liner notes of SEGA SYSTEM 16 COMPLETE SOUNDTRACK Vol.3 [WM-0681~3]. 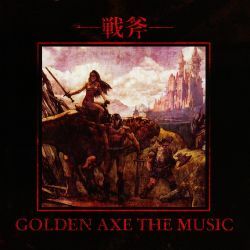 Nakabayashi only comments on programming and sound effects in the booklet of this album. Game credits "sound" to Nankyoku, Decky, and Imocky. Game credits "sound effect" to Hatabaw. Hataya's old Wave Master profile says he did all music and sound effects. Hataya's old Wave Master profile says he did music. Maeda's says he did music and sound effects. Sawada confirmed in January 2016 that "Boss Odd Stage" is the only track he composed.